Seward Highway 9, 125 miles south of Anchorage on Resurrection Bay. Population: 3,300. Visitor Information: Mile 2 Seward Hwy and Information Cache located in railcar at 3rd and Jefferson; Seward Chamber of Commerce: PO Box 749, Seward, Alaska 99664; Phone: (907) 224-8051; Website: www.seward.com. At 3,022 feet, towering Mt. Marathon provides a breathtaking backdrop for the town. Behind Mt. Marathon and extending down the coast lies the Harding Icefield, measuring 35 by 20 miles. Flowing from the Harding Icefield are many glaciers, eight of which are tidewater glaciers calving icebergs into the sea, reaching the coastline between Seward and Homer. Experience the land of the midnight sun. 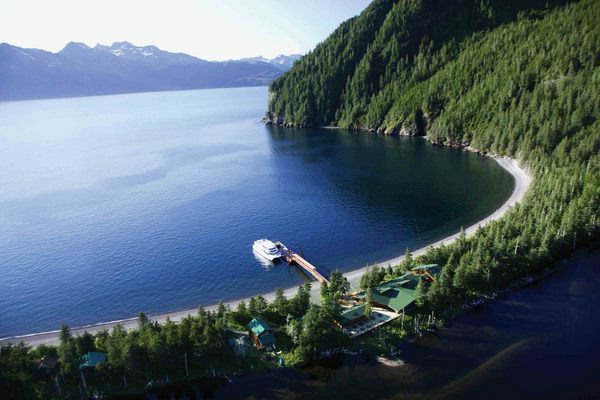 The long days are perfect for filling your schedule with world class fishing, tours of Kenai Fjords National Park, walks along the waterfront, learning about local history and culture or simply relax and enjoy the many fine restaurants, bakeries, shops and galleries. Seward's site was chosen in 1902 as the starting point for the Alaska Railroad. Because of its deep ice-free harbor and room for expansion, Seward grew to become a busy seaport. Much freight passed over its docks on the way north by rail. Gold miners, trappers, loggers and fishermen made it a major transportation centre. Seward continues to prosper in spite of two devastating fires and the fateful 1964 Good Friday earthquake. It has made a fantastic recovery and now enjoys a healthy economy supported by the state's vocational training center, marine research center, fisheries, shipping and many businesses. A new marine industrial center on Fourth of July Creek has greatly expanded marine related industries. There are many things to do in Seward. Fishing is a popular sport and for a real challenge, anglers are encouraged to try salmon, halibut or bottom fishing in the Bay. Fishing from the Small Boat Harbor floats or from the beaches can also provide a few thrills. Fresh water fishing can be enjoyed in nearby lakes and streams, easily accessible by walking, driving or flying. 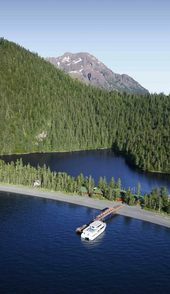 Charter boats can be hired or boat launching facilities for private boats are conveniently located. Sailing and diving are ever increasing in popularity. Hiking is popular on the many U.S. Forest Service trails and in picturesque Kenai Fjords National Park. The Park has an abundance of spectacular scenery such as the massive Harding Icefield, unnamed waterfalls and the Kenai Fjords. Large numbers of wildlife, ranging from sea mammals to mountain goats and sheep and a variety of birds can be observed. One campground is owned and maintained by the city and offers restrooms, water and a dump station. The U.S. Army and Air Force also maintains a campground for military personnel. Additional accommodations include private campgrounds, hotels, motels, laundromats, public showers and several restaurants as well as a well-stocked grocery store. Seward is home to some of Alaska's finest sport fishing. Anglers will find excellent fishing almost year-round in Seward. Here, fishermen and women have the chance to feel the arm-burning power of a giant Pacific Halibut, fight an acrobatic Silver (Coho) Salmon, catch a trophy Lingcod or troll for Alaska's renowned King (Chinook) Salmon. The uniqueness to fishing Seward lies in the approximately 30 fishing charters ready to take you on the fishing trip of a lifetime. They offer half-day or all day fishing for your choice of fish or a combo fishing package: half-day for salmon and half-day for halibut. The fishing is good around Montague Island, at the mouth of Prince William Sound on the southern shore of Alaska. A record catch aboard a Seward Charter vessel brought in a 340 lb. Halibut just off Montague Island. Hinchinbrook Island is another large island to the north of Montague. Both islands were named by Captain Cook. Halibut fishing begins in March and continues into October. Silver Salmon return by the thousands to the waters around Seward in late June and run into early September. Fishing for salmon and halibut is at its best from mid-July on. Fishing for winter feeding King Salmon runs from September to June and Lingcod season opens July 1st. Seward Jackpot Halibut Tournament is May to August and the Seward Silver Salmon Derby takes place in August. The Alaska SeaLife Center opened in May 1998, as the first building ever designed to house research, rehabilitation and education all in one facility. Funding for the Center came from the Exxon-Valdez settlement, revenue bonds and private donations. The town of Seward raised one million dollars in private donations to help build the Center. Many research projects are currently underway at the Alaska SeaLife Center. The Center acts as a research rental facility capable of providing both dry and wet labs, office space, computer facilities and staff technicians. Visitors to the facility are able to view both the research and rehabilitation areas from large viewing windows. Behind-the-scenes tours are offered once a day with a limit of 12 participants. This guided tour gives you a chance to see the unique engineering of the facility, as well as learn more about the research and rehabilitation activities underway at the Center. Exhibits are changed and updated to complement current research and rehabilitation. A new exhibit highlights Salmon: An Epic Journey, with the life styles of salmon exhibited in a highly interactive way. Another exhibit includes a remote camera that allows visitors and researchers to view a sea lion colony on Chiswell Island. Visitors are encouraged to zoom the camera lens in and out to look at the animals in their natural surroundings. The Center is currently home to 15 aquariums showcasing approximately 150 different species of animals from the Gulf of Alaska, including birds, seals, sea lions, octopus and over 1500 invertebrates. Visitors are encouraged to be "hands on" at the Discovery Pool loaded with seastars, crabs and sea cucumber. The Alaska SeaLife Center is a place where puffins fly through underwater skies and sea lions glide inches away from your fingertips. Discovery has never been more enjoyable in this unique environment of science and scenery. Admission to the Alaska SeaLife Center is $15 for adults, $12 for children 7 to 12. Children six and under are free. 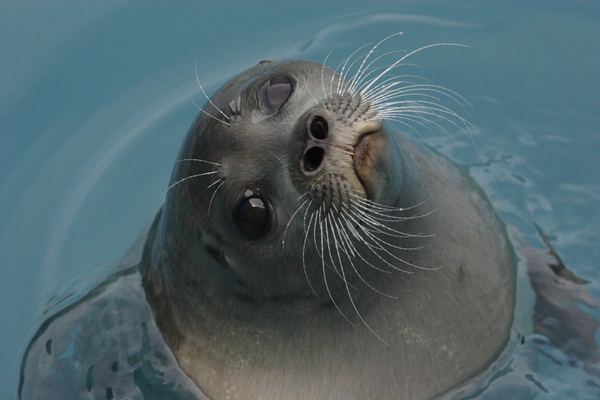 For more information on the Alaska SeaLife Center call (800) 224-2525 or visit www.alaskasealife.org. 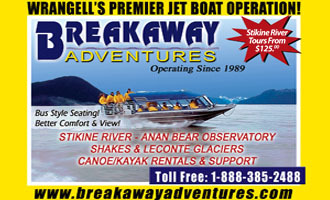 For Seward visitor information contact the Seward Chamber of Commerce at (907) 224-8051 or visit www.sewardak.org. The unique feature of Exit Glacier is that you can walk right up to the ice. It doesn't require an expensive flightseeing excursion or lengthy drive to access this majestic Alaskan scene. Exit Glacier is part of the Kenai Fjords National Park west of Seward. In summer, Exit Glacier can be reached by car on a paved road (approximately 9 miles long) which is located 3.7 miles before you enter the town of Seward. The Exit Glacier Ranger Station provides a great deal of information for the visitor. Regularly scheduled tours, guided walks and educational programs are conducted by park rangers at major sites during the visitor season. Interpretive talks, exhibits and a slide program are provided at the Exit Glacier Ranger Station. Restrooms are located in the area and are wheelchair accessible as is the first 1/4 mile of the trail leading to the glacier. Exit Glacier has 10 walk-in summer camping sites. No RV or trailer camping is available in the park. However, Seward has a full compliment of RV and camping facilities located throughout the area just minutes from the glacier. 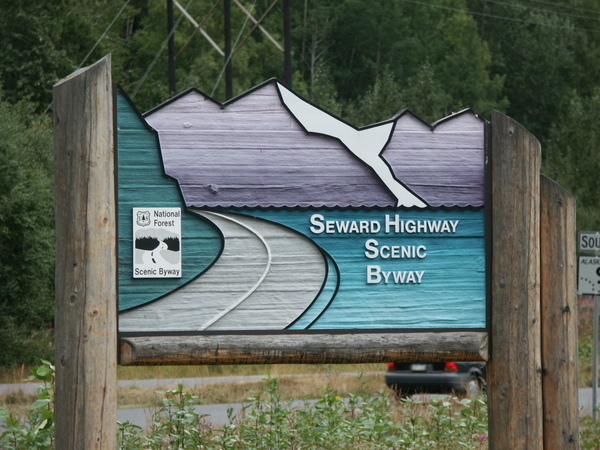 As a visitor travels the Seward Highway or Alaska Railroad between Anchorage and Seward, they follow parts of the Iditarod National Historic Trail. Many have heard of the Iditarod Trail Sled Dog Race, the world's premiere winter sporting event that covers 1,151 miles from Anchorage to Nome, but few visitors to Alaska know of the amazing story of the Iditarod Trail, one of the oldest commercial trails in the United States. Alaska Natives were the creators of parts of the Iditarod Tail beginning centuries ago. Once fur trappers and gold miners arrived, a more permanent trail was etched across the Alaskan wilderness. By 1910, settlements throughout the interior of Alaska were in need of winter mail and supply service. The Federal government responded by surveying a trail connecting the ice free port of Seward to the gold rush town of Nome on the Bering Sea coast. Since the trail ran through the bustling gold town of Iditarod, the name "Iditarod Trail" was born. Although the Iditarod Race takes place in March, the excitement of the sled dogs and lore of the trail can be witnessed throughout the summer in Seward at IdidaRide Sled Dog Tours. Voted one of Alaska's Top Twenty Attractions, IdidaRide Sled Dog Tours offers 1 1/2-hour tours geared for children and adults. Visitors to IdidaRide have the opportunity to tour a world-class Iditarod racing kennel, meet the canine athletes, see the equipment used to run the Iditarod, play with puppies—the future of the Iditarod and best of all, ride a sled pulled by these amazing huskies on a two mile wilderness trail from the Seavey Homestead through the woods, to the base of Resurrection Mountain and back. IdidaRide is owned and operated by the Seavey family, a family whose name has been associated with the Iditarod Trail Sled Dog Race since it began in the 1970s.